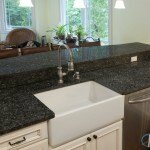 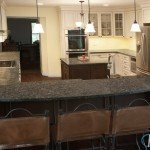 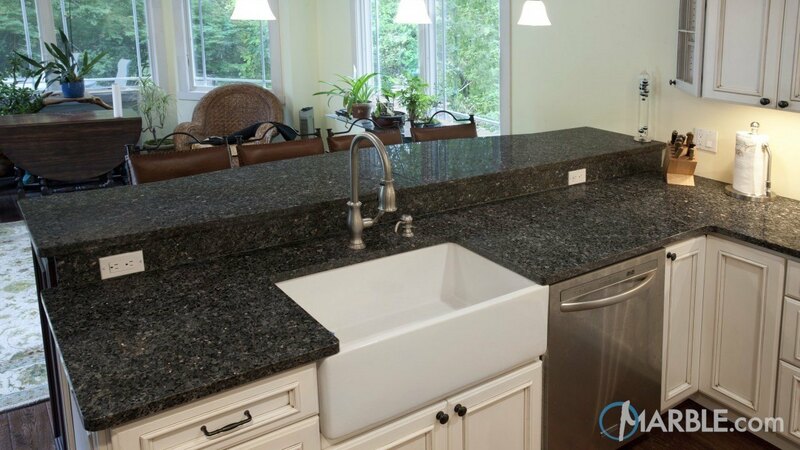 This traditional kitchen features Bahia Brown granite finished with a Straight Edge. 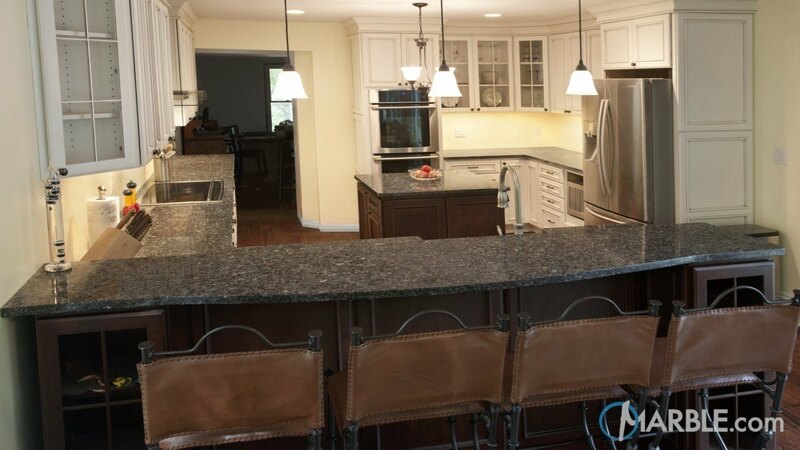 The black, brown and grey coloring in the counter top is set off by white cabinetry along the outer walls. 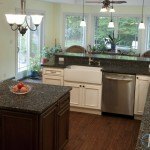 A brown island and breakfast bar, along with dark wooden floors, bring out the richness and beauty of the stone. 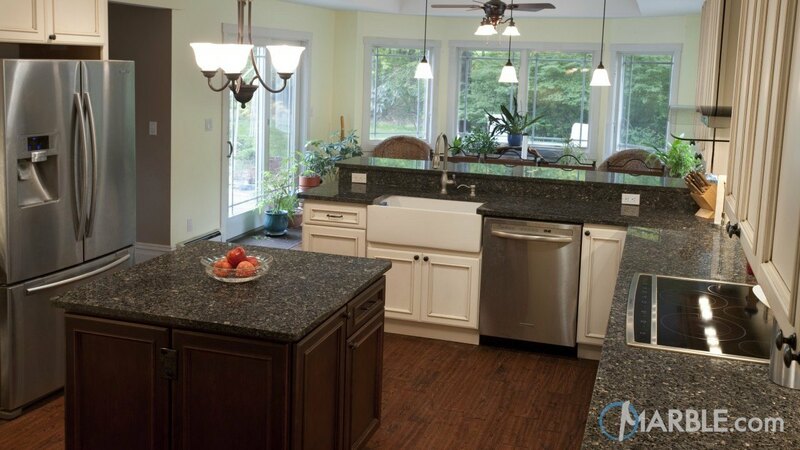 It has stainless steel appliances including a built-in cook top to add to this classic look.